Specialist lubricant and treatment manufacturer, Millers Oils, will officially announce its new partnership with race car manufacturer, Ginetta Cars, at the upcoming Autosport International show, 10-13 January in hall 2 on stand 2670. 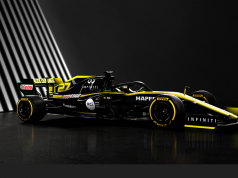 The partnership includes a new range of co-branded products, as well as sponsorship of 2019 events. The shared expertise of the new partnership guarantees motorsporting excellence, as both Millers Oils and Ginetta Cars possess a rich British manufacturing heritage and today are leading brands on the race track. As technical partner, Millers Oils has developed a new range of high performance, co-branded oils, ‘Ginetta Tech by Millers Oils’. 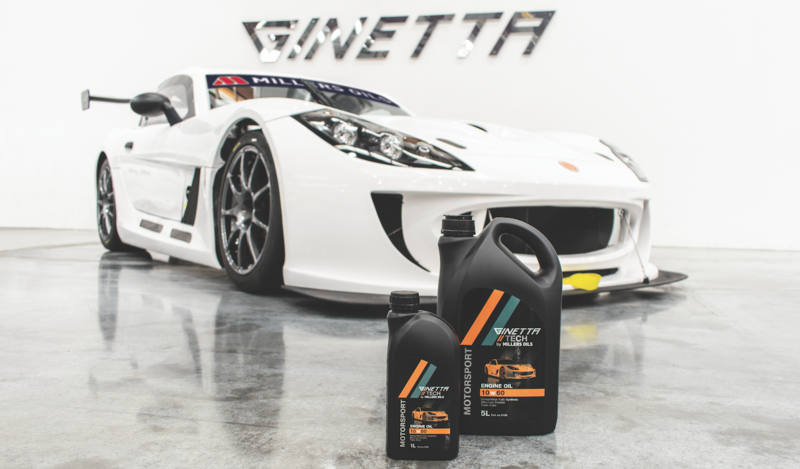 The new Ginetta Tech by Millers Oils products both protect components and maximise power in the high spec G40 and G55 cars, and will be used as first fill in all Ginetta vehicles and across the Ginetta championships as the lubricant of choice. The co-branded oil range includes two engine oils and two gear oils in Ginetta’s iconic orange, as well as a racing brake fluid. The use of the products will be mandatory across all five of Ginetta’s domestic single marque championships. As part of the joint venture, Millers Oils will be title sponsor of the 2019 Ginetta GT4 Supercup, as well as providing vehicle sponsorship in the renowned G40 Junior Championship where many of today’s brightest stars in motorsport cut their teeth. Visitors to the Millers Oils stand at the show have the chance to win a pair of tickets to the opening round of the Ginetta Championship season at Brands Hatch on 7th April, simply by submitting a business card as entry into a prize draw. Millers Oils will also be showcasing its award-winning NANODRIVE low friction technology at Autosport International. Now in its second generation, NANODRIVE provides a 53% reduction in coefficient of friction to both protect against wear and maximise power for a competitive edge on the track. For more information about Millers Oils, NANODRIVE technology and the Ginetta Cars technical partnership, please visit .